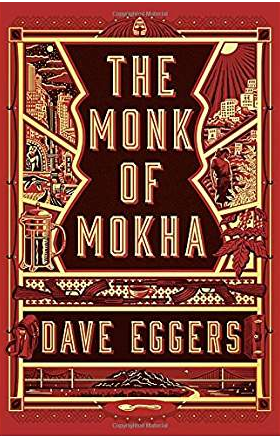 “The Monk of Mokha,” Dave Eggers chronicle of the revival of Yemeni coffee through the efforts of an unlikely young man, could well have been entitled, “The Mad Adventures of Mokhtar Alkhanshali.” If fiction is art and nonfiction life, this book would definitely qualify as life imitating art. The unlikely evasion of certain death, the meeting of impossible deadlines, the left turns when a right would have led to disaster, the literal rise from the outhouse to the penthouse; all of this and more could not have been conjured up by the bestselling minds inhabiting the world of fiction. Eggers book, however, is far more than a fast-paced adventure. It follows the evolution of a confused boy into a confident man. The details of Mokhtar’s personal growth could well fit into the template of a Horatio Alger, rags to riches, American dream novel. In this case the hero is not the child of European migrants fleeing a desolate life in Europe for the unbounded opportunities of America. Rather he is the child of migrants from the poorest country in the Arab world (perhaps the richest in immaterial ways) who struggled as farm workers in California’s central valley. They are people who marched, fought and died in the movement led by Caesar Chavez. He is the child of a family some of whose relatives are scraping by as janitors and doormen in San Francisco. He is the child of a large family crammed into a one bedroom apartment in the wretched Tenderloin neighborhood of that city. While the hardships of many folks in the Bay area’s Yemeni community would meet the above description, there are success stories and we meet some of them in these pages. Self-made millionaires like Mokhtar’s grandfather, Hamood; hustlers who are able to build chains of bodegas or produce distribution networks into fat cash cows. Young entrepreneurs like Ghassan Toukan –once tormented by Mokhtar in an afterschool class operating in a neighborhood mosque– who are able to ride the tide of tech into respectable standards of living. And, of course, Mokhtar himself, a most improbable Yemeni American success story. In telling this story Eggers does something else. 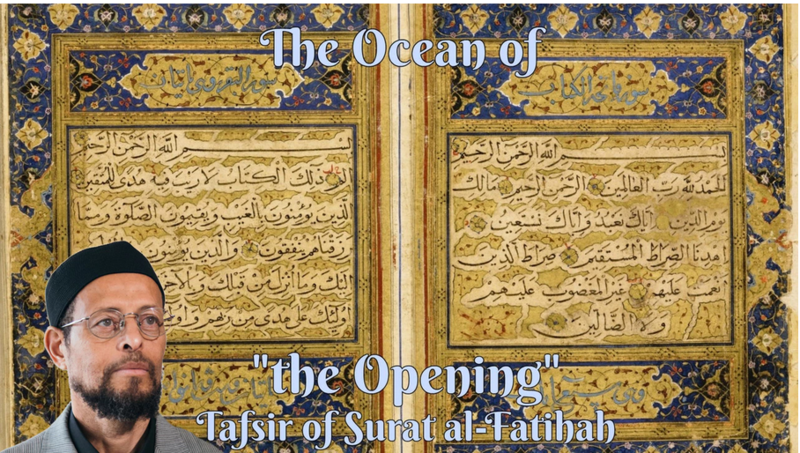 He humanizes both the Yemeni and American Muslim communities and sheds light on both in very interesting ways. Perhaps the secret to Eggers success in this regard is that he did not intend to write a “let’s all empathize with the Muslims” feel-good story. The book is written as Mokhtar narrates the events comprising it. In the process we learn that American Muslims are a community as culturally and economically diverse as the country itself. We meet Mokhtar, a Yemeni American Muslim; Justin Chen, a Chinese American Muslim; Giuliano Sarinelli, an Italian American Muslim; Borana Haxhija, an Albanian American Muslim, Jeremy Stern, a white Muslim convert with Jewish roots; and many more. We are also given a glimpse into some of their struggles, insecurities, vulnerabilities, trials and triumphs. The discerning reader also discovers the hope the Arab Spring brought to many in Yemen and how those hopes were dashed by a destructive civil war. Similarly we come to know how incompatible the mindless violence of Al-Qaeda and ISIS are with the Islamic and cultural ethos of Yemen. We see the devastating impact of American-made, Saudi-dropped bombs on the everyday lives of ordinary people in that country. We are shown how a single individual and his family, Malik, can keep a dying tradition alive and we learn how a man who understands the cultural reality of the women of his land can do more to dignify and empower them than legions of foreign feminists. All of the human triumph and tragedy Eggers brings forth is set against the historical backdrop of the rise, demise and rebirth of coffee. We learn of the first, second and third waves of coffee’s history as a global commodity. Along the way we venture from the exhilarated goats who alerted the plant’s discoverer to its stimulating qualities, to the Monk of Mokha, who along with his dervishes popularized and began the cultivation of the crop, to the rarified aromas of specialty coffeehouses in places like Mill Valley, California. I have known Mokhtar from his past “rags” to his present “riches” and I can say that in the most meaningful ways he has not changed. While the Raiders and Warriors are running away from Oakland to the glitzy lights of Las Vegas and San Francisco, Mokhtar has headquartered his company in the hardscrabble Fruitvale community of East Oakland, minutes away from the BART station where Oscar Grant met his untimely demise. Still humble, still curious, still seeking to serve. In the way that Homer Smith, the unsuspecting hero of “Lilies of the Field,” was deemed a saint, so to Mokhtar. God used him to accomplish something great, despite his imperfections. That being the case, while Shaykh Ali ibn Omar al-Qurashi al-Shadhili is the Monk of Mokha, Mokhtar Alkhanshali is the Monk of Mocha. I, for one, can drink to that. Note: The book will be in the stores at the end of this month, In Sha Allah. It is must reading.